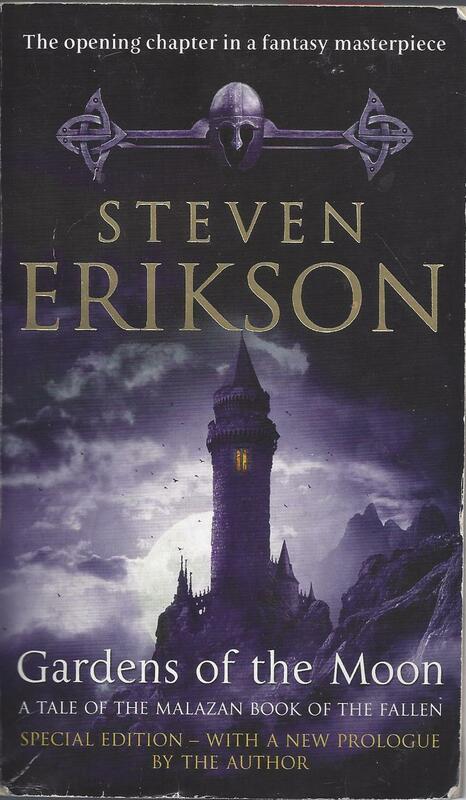 I’ve just started reading Steven Erikson’s Gardens of the Moon (Steven Erikson is the pseudonym of Steve Rune Lundin). My edition has a preface by Erikson telling a little bit about how the story came about. Now I haven’t read Glen Cook’s books and I must say reading a story with a “tone of dispirited, wry cynicism” is not a comment on a book’s back cover that would move me to rush to acquire it. But is Erikson right? Is the sense of a battle between Good and Evil that’s so central to The Lord of the Rings “fundamentally disconnected with reality” as Erikson states? I don’t think he is right. First of all, the nature of reality is not a settled question, otherwise we would all agree on it’s exact nature. Now what I believe Mr. Erikson is saying that in his understanding of the nature of reality, Good versus Evil is a view that he discarded as he grew older. As a theist and a Christ-follower my convictions about the reality of a cosmic battle between Good and Evil have only grown stronger as I have grown older. I live with great hope. It’s not that I don’t see the pain and suffering around me (indeed Tolkien’s Lord of the Rings had a great deal of loss, pain, and suffering) but I believe we are somewhere in the middle of our story, and so we feel like the defenders in the last desperate hours of the siege of Minas Tirith or Frodo and Sam felt as they set out on the last impossible attempt to the Cracks of Doom. But its not the end of the story. There is an ending coming where Good triumphs over evil. Those are my convictions about reality which give me great optimism. Given my view of the nature of reality it seems to me it makes good sense to write stories that have exactly those story lines. Steven Erikson’s book has already given me much to think about. I expect to have more to contemplate as I progress through the story. I’d be grateful if you checked out my books at Amazon.